The Ant-Man and The Wasp Press Conference started out like any other press conference, a secretive email with a promise of access to a star studded event. Of course we were given no date or location, in order to keep the anticipation building as we got closer to the release date. A couple of weeks later I received an invitation to attend the press conference, which was held at one of the swankiest hotels that this geek has ever set foot in. 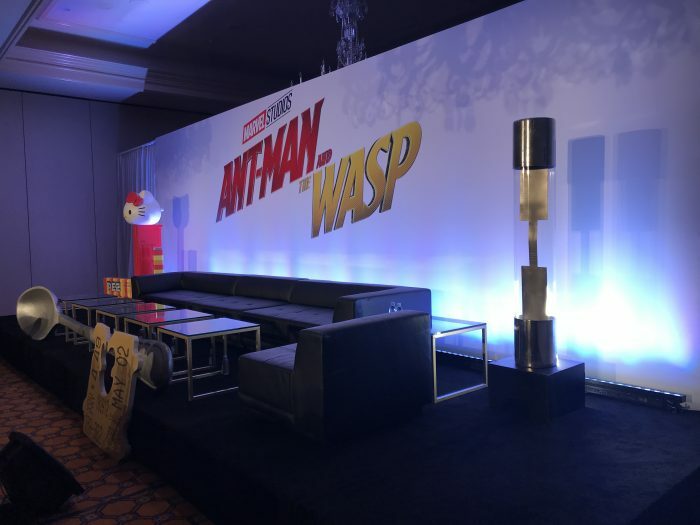 The attending journalists were ushered into a large conference room that had been set up with various giant sized props in keeping with the Ant-Man And The Wasp theme. Still not sure what the thing on the right is, but you got to love the giant Pez dispenser. From there we were joined by most of the cast of the film as well as the living legend Kevin Feige and the director of the movie, Peyton Reed. Since not all of the attending journalists had seen the film yet, the questions and answers were kept as non spoiler as possible. While it wasn’t the comedy show that the Infinity War press run had been, it wasn’t that easy to get a straight answer out of anyone in the room. KARA WARNER/ MODERATOR: For you, Mr. Feige, and our group today, our collective effort always is to get Mr. Feige to say something he’s not supposed to, which he never does… but — [LAUGHTER] we’re going to try. Right? KARA WARNER/ MODERATOR: Yes. Speaking of the Quantum Realm and how we’ve been introduced to it and now in two films, three with Doctor Strange — where… what is the future of the Quantum Realm? Are we going to see it in future films? KEVIN FEIGE: Well, I mean, yeah, without giving anything away, we love, you know, these… they’re all storytelling tools; new places, new things. 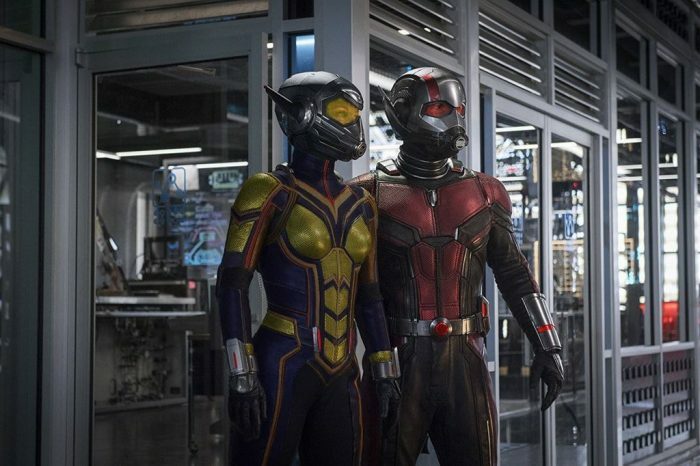 In the first film it was, we got a glimpse of it for people who like to go through frame-by-frame, there were a little silhouette of… of Janet as the Wasp in there, which is a big story element in this movie. There are things that you see back there… that Peyton has put in there — where and how they pay off in the near term, in the long term… remains to be seen. All in all it was a great experience, and if you haven’t checked out our Ant-Man & The Wasp review then make sure you do that below!